'Rare' is a word that gets overused. 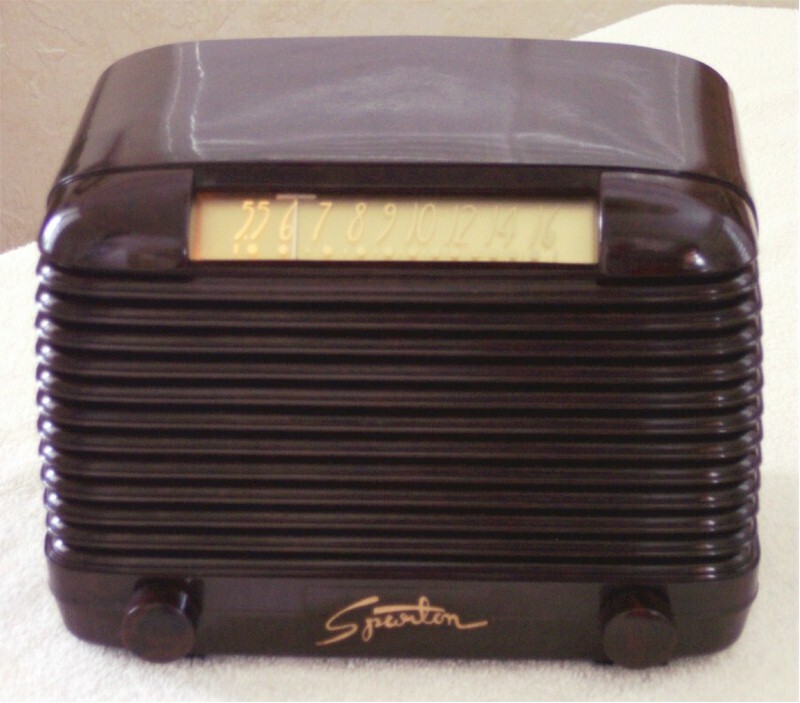 However, this beautiful chocolate brown tastefully swirled Art Deco Sparton Bakelite is a radio you don't see very often. All five tubes are good and the necessary capacitors have been replaced. It sounds good! This Bakelite hunk of radio is in marvelous condition with minimal wear; no chips, crack or paint splatters. The back in very good condition as is the tube layout on inside of the case. If you'd like additional pics please let me know.